Well we are busy packing our bags for our three Arizona observatories tour and observing opportunities and getting ready for a day or two at the Solar Power International conference and energy storage workshops in Anaheim, CA, but wanted to make some additional comments about our return trip from southern Utah and report on some other old friends, Spock's home planet, a piece of a meteorite and some images of how interstellar clouds can show up. First up, I have been studying general relativity and gravity for several years now, but never would have believed there was a connection between gravity and raising cattle. But, one of my high school friends, from 50 years ago, Here Comes the Judge, Kirk, showed us some memorabilia dealing with his family and history of ranching in the area and I spied some interesting objects called "horn weights." I meant to take a picture to show all the rest of you city slickers, but forgot and had to look the devices up on the internet. The weights are used to let gravity shape the cow's horns so that they point down and not straight out. Pretty neat! 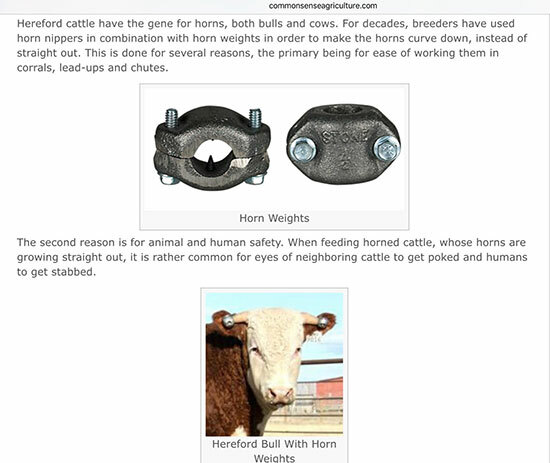 Yes, it seems that gravity and cattle ranching and cow horns do interact. On the way back to southern California, we made a pit stop at the alien jerky store in Baker, CA. 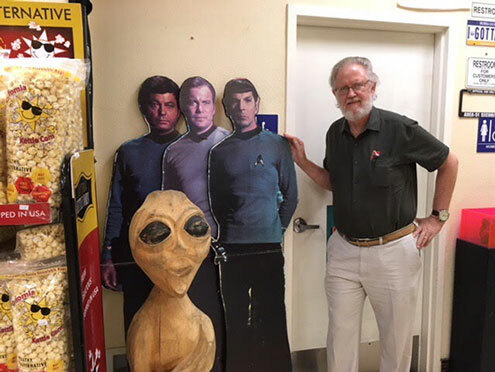 I was quite surprised to meet some old friends, whom I first saw close to 50 years ago, waiting in line at the men's restroom. They weren't paying customers, I guess Federation credits weren't accepted, so I just jumped ahead of the line. I'm not sure what line their little friend was waiting around for! 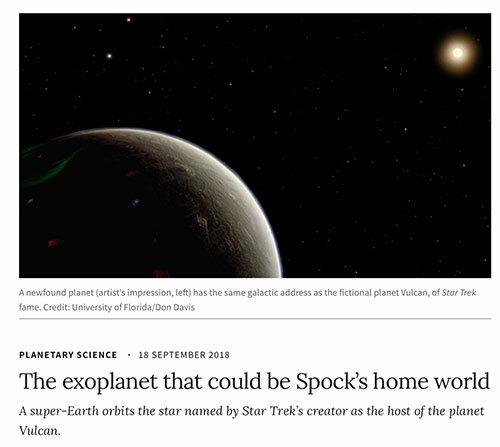 By the way, there was an interesting article in Nature's Planetary Science edition of 18 September 2018, regarding the just announced finding of a large exoplanet around 40 Eridani. It is about 16 light years from Earth. Remember that this star was identified in 1991 by the creator of Star Trek, Gene Roddenberry, as the star for Spock's home planet, Vulcan. That was quite a bold statement back in 1991, but today, one could probably pick just about any star at random and it probably would be found to have a planet or two. Ok, now back at the observatory I was surprised by a little gift from Resident Astronomer Peggy. She asked if I had any meteorites in my collection and I said no, so she said, Ok, here is your first one! Wow, how about that. 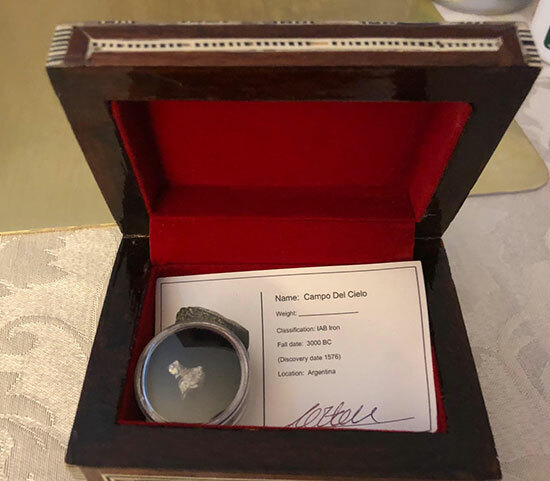 Take a look at this little bit of a meteorite, Campo del Cielo, that was discovered in Argentina. Thanks a lot for that, Peggy! So, one final topic in this week's post has to do with some interesting points about astronomy that showed up in my astrobiology textbook. 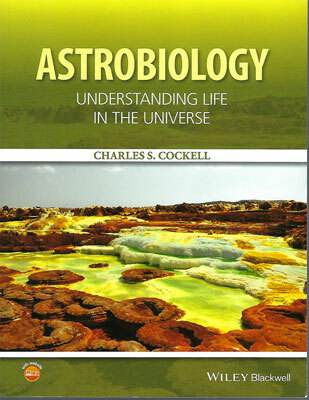 I dusted off this textbook several weeks ago in preparation for attending the NASA Astrobiology Workshop, described in previous posts, and found it to be an excellent resource for "senior" students like myself. If you want to check out what happens at the intersection of physics, chemistry, biology and astronomy and the search for extra terrestrial life, get a copy of this book. I have been reading several chapters, primarily on astrobiology, but one of the chapters was sort of a general overview of what astronomers can see with their telescopes. We know about chemistry as it occurs on the Earth, but astrobiologists and astrochemists also have identified some interesting chemistry that goes on in interstellar space, not just on exoplanets. Is there enough material in interstellar space to allow chemical reactions? Yes, it seems so. The density of the material is very low but the available UV radiation enables chemical reactions. But what I found particularly interesting is that we can see the material if we look in the infrared. 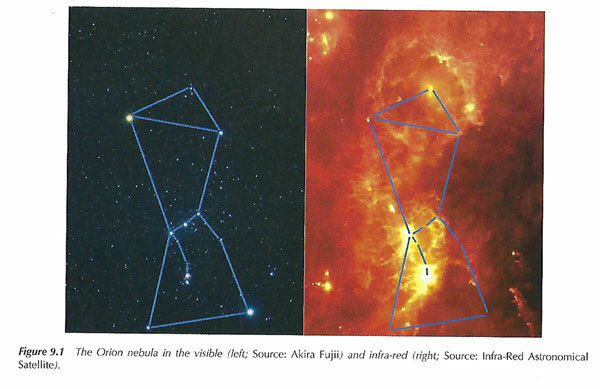 Take a look at the figure below which shows how the Orion constellation shows up in visible light and then again in how it shows up in infrared light. Of course, many nebula that are observed in visible light also are quite dramatic. It just shows us that there is a lot of material, even in the low density that it occurs. There are many clouds of material all around and light from distant objects passes through it on the way to us. 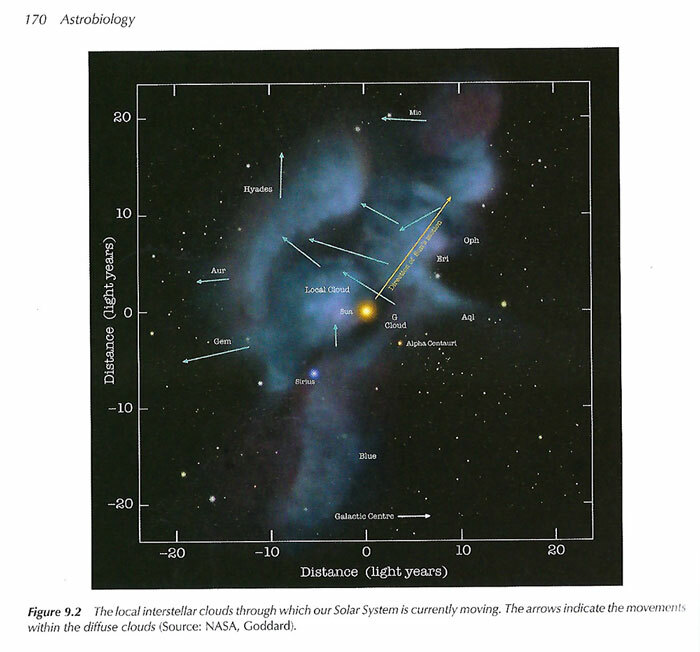 This allows the molecular clouds to be measured and mapped. So, it seems that clouds are always getting in the way of astronomers. But these clouds, not like the ordinary weather clouds, tell us a lot of about the structure and formation of the galaxy and beyond.